When it comes to fall colors, I always love the time of the in-between when the golden yellow emerges while the greens are hanging in there to give that extra mix of contrast to the subject. 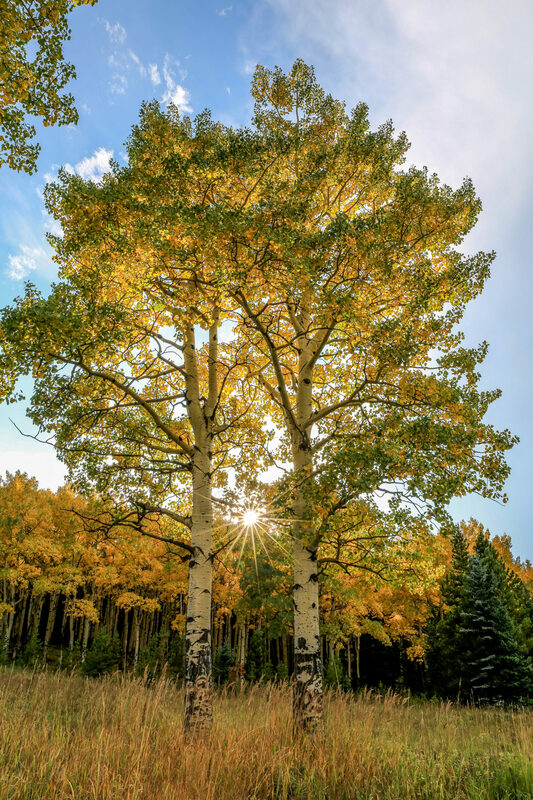 I was hiking at Squaw Pass during this time and noticed these two trees just standing. They appeared like they were dancing with one another to the subtle breeze while the sun began to set, illuminating the green and gold leafs from the back lighting.